Although it’s unfortunate, many people don’t think about choosing a good plumber until they have an emergency. Then, when something happens, they end up calling the first or largest name they see in the phone book or online. However, if you want to get the job done right and on budget, it’s important to choose a plumber who has years of service and has taken care of a wide range of jobs. Master plumbers are just the kind of plumber any residence or business needs. Not only are they licensed, but they can install plumbing lines and systems for small homes to large office buildings. Master plumbers in Melbourne, Florida have many years in the business and have competently shown their expertise in the field of plumbing. 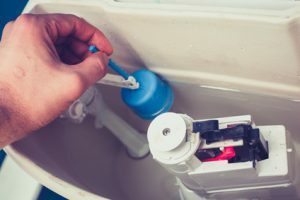 They are able to train new plumbers, they can work in a variety of areas, and they can oversee very large plumbing systems for installation or repair. In other words, they can work as a contractor for any plumbing job you may have whether big or small. Finding the right plumber can be as simple as picking up the phone and talking to the person on the other end. Maybe you’re looking for someone friendly and personable; if that’s the case, it may be that you can find the right one just by how you interact over the phone. It’s important to not be swayed by potentially misleading advertising. It’s not uncommon for companies that spend a lot of money on advertising to pass this charge onto the customer, ultimately costing you much more. Fixing any issues with your drains, pipes, or clogs throughout your home is a quick fix for any master plumber. They have fixed these types of problems many times and can find the source of the problem fast, fix it quickly, and have your home or office back up and running in no time. When you hire a master plumber you’ll know you’re getting the job done right the first time. One of the main reasons people call a plumber is clogged or backed up pipes. If this happens, the plumber can send a snake with a camera down to locate the clog and know exactly where to fix it. If it is far down in the pipe, they have a device which can send a signal above the ground to alert them exactly where the problem is, so there is no guess work involved. A good master plumber has all of the latest technology at his disposal to fix problems at the source, saving both time and money. So when you need a drain, pipe, or clog fixed, look for a friendly, qualified master plumber in your area.